Sahadev Sharma and Patrick Mooney put together a MUST READ piece on how the Cubs have worked to make 2019 fundamentally different than 2018, with a more business-like approach to preparation, a greater urgency placed on winning every single game, and changing the mindset that set in after years of success. I would not necessarily presume this is a concession that the Cubs had their own chicken-and-beer problem last year, but, let’s be adults here: the change would not be directed if there wasn’t some kind of issue identified by the players, coaches, and front office. 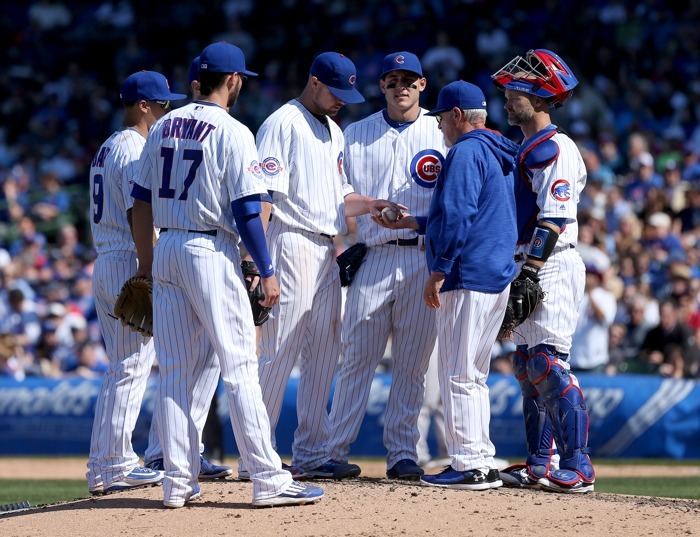 A laid back attitude can be a very, very good thing for high-level athletics (let the talent shine through without tightening up), and that has been something Joe Maddon’s teams have been known for. Mostly, it works! But perhaps, especially in the wake of a long-needed World Series win, the pendulum swung too far in the “let’s just chill, man” direction. That said, The Athletic piece is so much more than those small changes, and so much more wide-ranging. To really get a sense of just how seriously the Cubs have taken this opportunity – and that’s what getting your teeth knocked in is for a team like the Cubs – to work on the organization’s culture, you’ve gotta read the piece. It really sets the stage for the season ahead, and feels like a considerable chunk of the backbone against which how things go in 2019 will be evaluated.